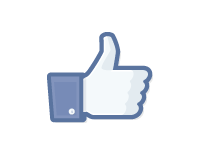 You can now get more of my awesomeness by liking my Facebook Page. Above all, I enjoy connecting to a broader community and engaging in conversations about the gendered world we encounter every day. So don’t be shy and join in! Nice to meet you, Thank you for following my blog. I am now following yours as well. One day I will catch up on all you wrote.. Likewise. Thanks for stopping by!